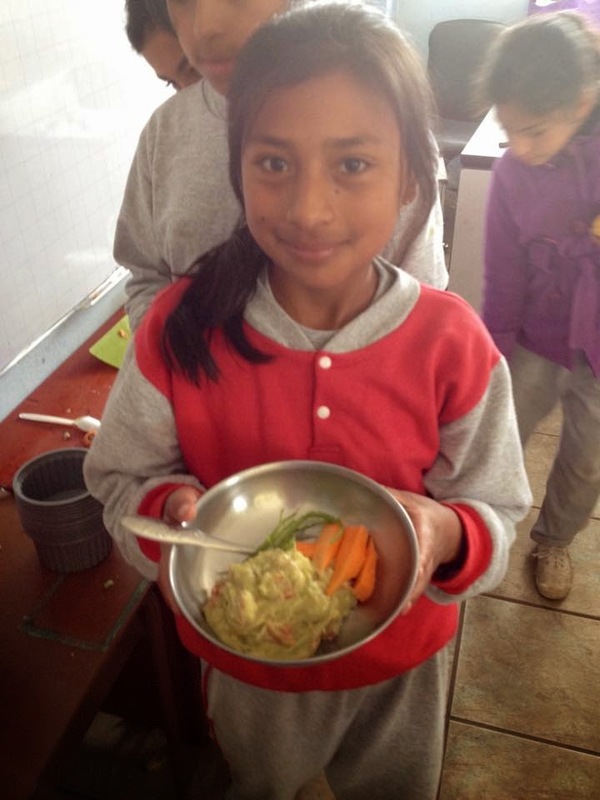 Interning at MPI-Ecuador is life-changing. You receive hands on experience by working closely with the people, developing the programs for the community, and participating in fundraising and other organizational roles. Stepping outside of your comfort zone and immersing yourself in a culture extremely different than ours can be a daunting task, but with very few days left in this beautiful country, we’d like to share some of our experiences with you! I can't say enough about how amazing and dedicated this group of university volunteers was this past week. Apart from volunteering to spend their Spring Break here at the Manna site, they did an amazing job of hosting Manna's first ever Women's Week. The problems of gender inequality here in Ecuador are numerous and complex but we are all interested in working to improve this area. While our Women's Initiative is very new, it was amazing to have the opportunity to discuss and experience these fresh perspectives. During their time here, we hosted several community events and introduced the volunteers to some of the opportunities within this field of work. One of my favorite projects was working with and learning about NADENA's work, a fair-trade organization that empowers women by assisting them in the production and sale of goods made entirely from recycled materials. Aside from providing an extra income for these individuals, we hope that these workshops will provide both the skills and confidence to explore other markets. Additionally, our volunteers planned and led a women's exercise class and well as participating in Zumba in the park with local community members. In Manna's community center we hosted a discussion featuring a sociologist and expert on the subject of inequality in Ecuador. With great attendance and great discussion, it was awesome to provide this event out of our Community Center and to learn more about these issues from our amazing guest speaker. Likewise, we spent an afternoon preparing a lunch for the local young mother's shelter we volunteer with while bringing them an unimaginable amount of clothing donations gathered by our university volunteers. This group of volunteers certainly got to experience Manna's holistic approach to development, whether that be tutoring United Nations Peacekeepers or farming at the nearby at-risk youth shelter. 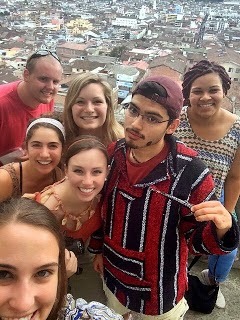 In addition to helping with our existing programs such as English classes or Children's Nutrition, I hope our volunteers got to explore some of Quito and experience some of the many things Ecuador has to offer. As a Program Director, it was especially inspiring to meet and get to know this young group of volunteers. Experiencing their enthusiasm and new ideas was refreshing and seeing their dedication to our work was definitely an excellent reminder of what Manna is here for. ‘Tis the season of water balloons, flour, foam and eggs – Carnaval! It’s an exciting time here in Ecuador, but unfortunately Carnaval brings the risk of getting pegged by water balloons (or perhaps eggs) on your way to work. But really, it is crazy here, and no matter where you are, you have to be battle ready. For example, Ann Lowry, Michael and I took a lovely trip to Baños this past weekend. As we were enjoying a breakfast of crepes and coffee on an outside patio (our first crepes since arriving in Ecuador), we heard a mischievous crackle and were suddenly showered in foam, crepes and all. Needless to say, we did not appreciate it. However, now that we are nearing our long weekend for the holiday, we are getting more in the spirit of Carnaval. Everyone has exciting travel plans. A large group of us are going to Guaranda, Montanita and Puerto Lopez accompanied by none other than everyone’s favorite Spanish teacher, Ivan. Kate has friends visiting and they are hitting Baños and Ambato before meeting up with the group in Guaranda for parades and chaotic Carnaval celebrations. Evan is in Cuenca, visiting with an old friend, and Carley has plans to go to Amaguaña and Ambato, which is a haven that has banned water balloons and has a beautiful festival of flowers this time of year. Michael and I both have parents visiting for the occasion. Michael and his father plan on pursuing adventure with the highlight being mountain biking down the gargantuan volcano Cotopaxi. I, on the other hand, am heading to Cuenca with my parents for some rest, relaxation, and sight-seeing. At the library, things have been calmer than usual as public schools are on a two-week vacation and many families have been out of town. We’ve had plenty of time to help with homework, play and converse on a one-on-one basis with Rumilona community members, which has been very nice. We have also had some time to pursue projects like painting bookshelves and fixing up the Preventative Health Center. Still, we are excited for some much needed time off, and will definitely take full advantage of it. We can only guess the stories we will have on the other side of such an adventure-filled weekend. Living in the Valle de los Chillos just outside of Ecuador's capital city of Quito provides us with the best of both worlds: we get to enjoy some peaceful moments here in the "suburbs" while still being close enough to enjoy everything the big city has to offer. This week I spent some time in downtown Sangolqui eating helado de paila [a special way of preparing ice cream in a large bronze pot...it somehow makes it extra delicious!] and enjoying people watching. Even though there is less to do in Sangolqui than in Quito, there always seems to be something interesting and particularly Ecuadorian going on... like hornados [whole roasted pig, famous in Sangolqui] in the market place, or pick up soccer games in front of the main church. This weekend I ventured outside of the Valley and also spent some time in Quito, exploring Parque El Ejido with friends. We also discovered that this week is the beginning of the Festival de Cine Latinoamericano [Quito's Latin American Film Festival], and are looking forward to spending our free time taking in some awesome movies! Its seems like our time here is flying by, but I am so excited to continue discovering the amazing things that Quito and the Valle de los Chillos have to offer. I arrived to MPI's Ecuador site in Sangolqui about 3 weeks ago. It's been a rush of learning about all of the various programs, figuring out how to get from place to place, and getting to know the 9 other new housemates who immediately impressed me with their passion for this community, their drive to see projects through to the finish, and their ability to find humor in any situation. The first couple of weeks of orientation, I was overwhelmed by the variety of programs and partner organizations everyone seems to be involved with but now that my third week comes to a close I think I'm getting the hang of things around here. One of the programs I have become involved with is Kid's Nutrition (which I'm sure folks back home will find humorous given my personal eating habits). Part of this program includes twice weekly visits to a local school called Chaupitena, where we spend about an hour talking to a class about nutrition and then the following visit we all make a healthy snack together. The volunteers involved with this during the past several months have had more than a few difficulties. Between language barriers and the lack of understanding by the teachers about how nutrition and cooking go hand in hand (why cook a nice egg white omelet when you could be baking a chocolate cake? ), the volunteers definitely felt like Manna's presence at Chaupitena was not very effective or always appreciated. There was talk of discontinuing these visits and developing a curriculum to give them instead, but in the end the consensus was to soldier on, but decrease the frequency of our visits to every other week. Last Tuesday was my first day on the job, and I really had no idea what to expect. We decided to start last semester's curriculum from the beginning because scores on the final exam hadn't been exactly stellar. Amelia and I went over the Harvard Healthy Eating Plate, and to our surprise the students remembered lots of the material and were actively participating throughout the class. It was an encouraging sight, and made me feel optimistic for our future involvements with Chaupitena.